"Hello! 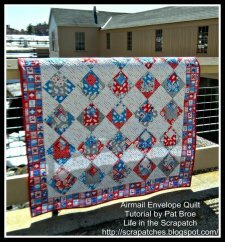 I am Pat from Life in the Scrapatch blog and I am so happy to share this quilt and tutorial with you. Thanks to Bear Creek Quilting Company for sponsoring this quilt tutorial and hosting me. 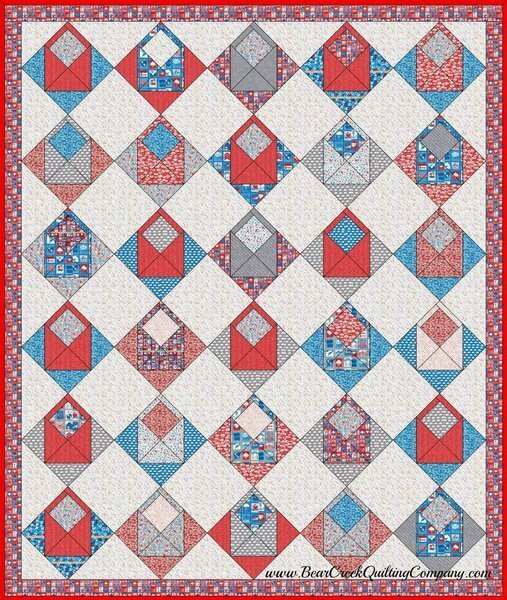 "This envelope block and quilt was designed by me and inspired by this bright and happy fabric: Airmail from Moda Fabrics by Eric and Julie Comstock. 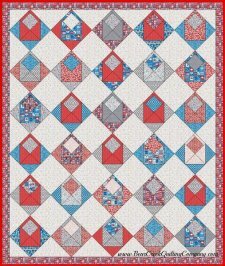 I saw this fabric and the image of an envelope quilt block popped into my head. 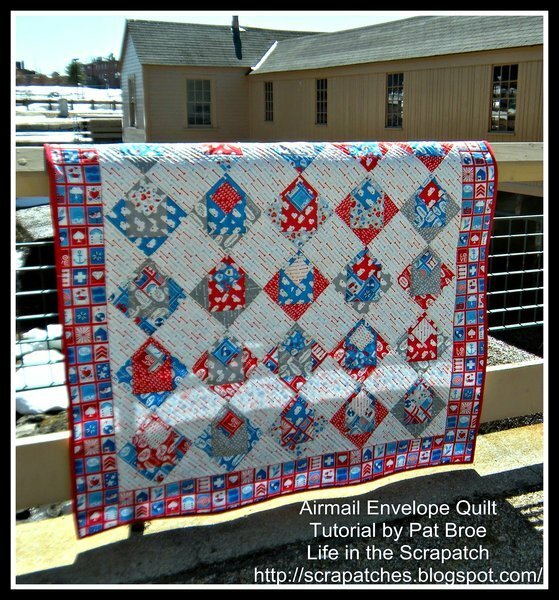 I researched envelope blocks online and did not find the same block that my quilty muse wanted to make so I sewed a test block of scrap fabric and then used EQ6 to design the block and layout of my quilt."